Polyvinylpyrrolidone is widely used in medicine, pharmaceuticals, cosmetics, foods, printing inks, textiles, and many more diverse applications. This book describes the 50 years of research, published and unpublished, on the absorption, distribution, storage, and excretion of PVP. The toxicology of PVP is critically evaluated. The author's involvement in the recent reevaluation of PVP by the Joint Expert Committee on Food Additives of the World Health Organization (WHO) and the Food and Agriculture Organization (FOA) led them to undertake this comprehensive review of all the information on the subject. 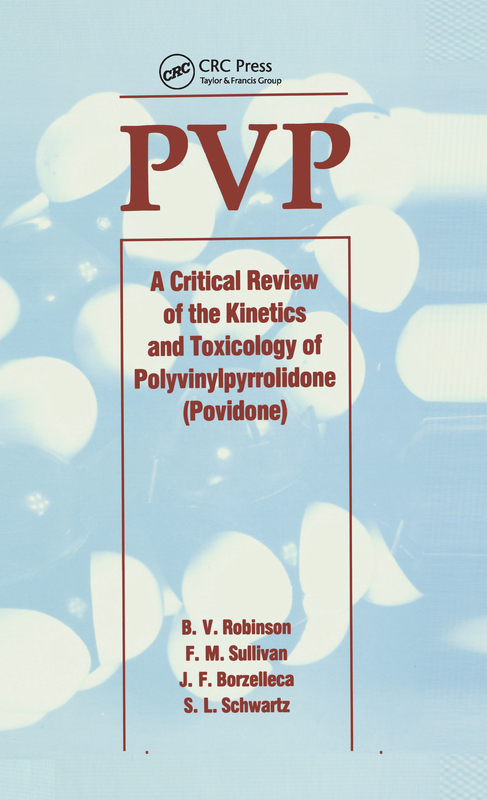 This book will be invaluable for anyone who is involved with polyvinylpyrrolidone. Included is a broad review of the toxicological studies performed on PVP, including acute, subchronic, chronic, reproductive, mutagenicity, and carcinogenicity studies. There is also an appendix listing the key studies, with references, on the absorption, renal elimination, distribution, acute toxicity, subchronic toxicity, chronic toxicity, teratogenicity, mutagenicity, and carcinogenicity of PVP.